I don’t know if it’s because I have a cursed black thumb or what, but I simply adore all things gardening. This set has always been a favorite of mine and I am ecstatic to be able to show it off to you all today. The color combo really got me and I wanted to try it out with this set. 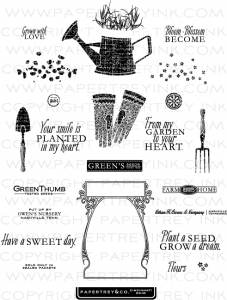 And HOW CUTE is the seed packet outline?! I want to put in on everything!!! Edited due to change in blog hop! – You should have arrived here from the sweet Jessica Frost-Ballas’ Blog! 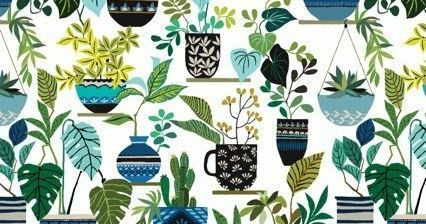 It’s the last day of the Lil Inker Designs July Release Blog Hop! The latest release is LIVE and you can find the entire thing here. Ok!! I have one more project for you which if you have been following along the past few days, you probably saw it on the Lil Inker Blog on Day 1. I put together this super fun pillow box by stamping the whole thing with the Doodled Daisies Stamps and accenting it with the Doodled Daisies Stamps & Dies, some twine, and of course, this SUPER FUN Boxed Up: So Happy For You Die. So that’s it for me for this release! Thank you so much for hopping along! Don’t forget to leave some love for a chance to win! You’re headed off to the lovely Joy Taylor’s Blog again… Much love! !